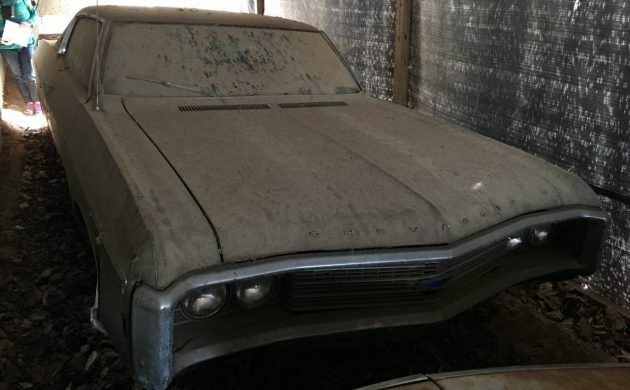 If you are searching for a car that best defines the Barn Finds philosophy, then this 1969 Chevrolet Impala 2-Door might just be the car. Details are scarce, and that serious coating of dust suggests that it has been sitting for a very long time. Barn Finder Ikey H referred this one to us, so thank you so much for that Ikey. The Impala is located in Huntersville, North Carolina, and is listed for sale here on Craigslist. The owner has set the price for the car at $3,500 OBO. You may find this hard to believe, but under that substantial layer of dust, the Impala paintwork is actually gold. The interior is also black, but we don’t get any photos, nor any information about its condition. You can also forget about trying to look through the windows in the available photos because the layer of dust has rendered them opaque. 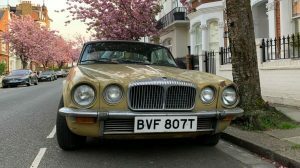 The engine is a 350ci V8, while the car also features an automatic transmission, power steering, power brakes, and factory air conditioning. 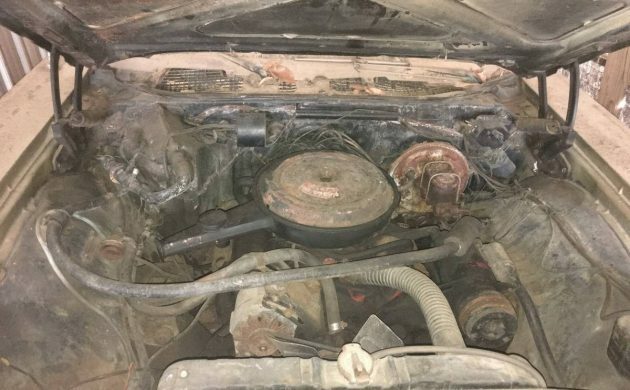 The owner does state that the engine hasn’t been cranked in at least 10-years, so it isn’t clear whether it turns freely. So many questions! Still, he does supply his contact details, so hopefully, he will be willing to answer them. 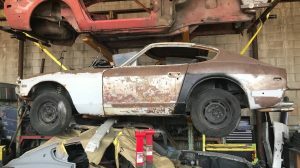 This really does look like a true barn find. It is also very much a mystery machine. 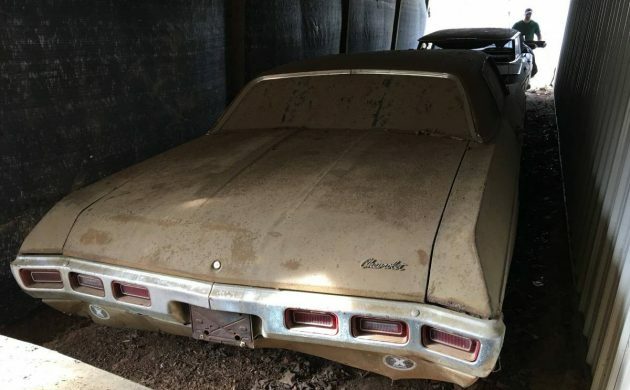 I really wish that there were more photos, but I guess that to do this would mean disturbing the dust, and that’s part of what defines a great barn find. 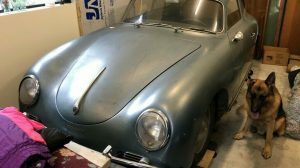 This is a car that I really hope that one of our readers buys and that if this happens, that they keep us informed on their progress with it. This is a car where I would really love to see the transformation that potentially awaits it. I have owned a few of these in the past; they are nice rides. The 350 is one of two offered that year; both are 4bbl, either the 250 or 300 horse. This model is the custom coupe roofline, like the Caprice. I see the A/C belt is off. The master cylinder is one used for disc brakes, so that is a plus. I wonder where the fan shroud went? I would check it out if it was closer to me. All Custom Coupe (Impala and Caprice) came from the factory with front disc brake. Hard to guess the condition in that way. In 1969, disc brakes were not standard on any model, only if you ordered the SS427 package. For 1970, though, you are correct. Disc brakes standard on Caprice Custom Coupe and Impala Custom Coupe. I’ve noticed the right fender is buckled, and windshield trim is missing. Right quarter has rust through a one tail lights, and the “X” stickers on the rear valence show where the problem are! Might be more surprises in store with this one. 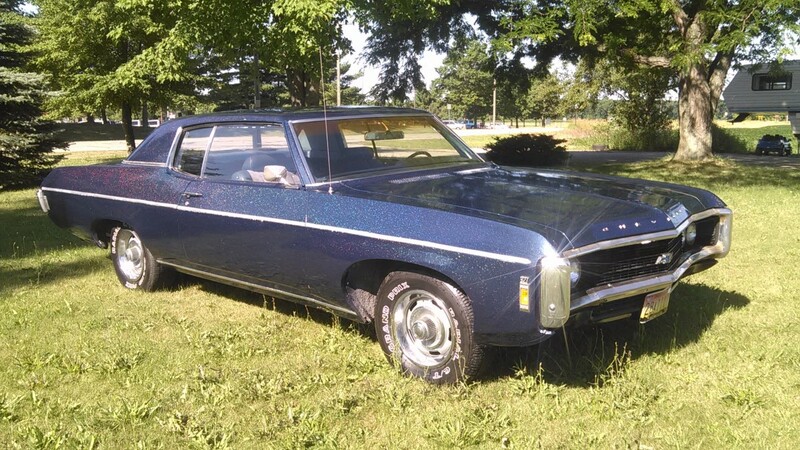 MathieuB, I have a 1969 Kingswood (Impala) wagon, and it has 4 wheels drum brakes. I would have thought the heavier wagons would have had disc brakes as standard, but no. Back then, disc brakes only came on “performance” cars and, along with seat belts, earned a higher insurance premium. Our 66 Delta 88 came with belts and my father unsuccessfully argued with the dealer to have them removed. My 1969 Kingswood wagon – the wagon equivalent of the Impala – came with not only drums all round but NON power drums. What a miserable car to drive. They must have had a strike at a supplier or something, nobody would want a big car like that with non power drums. Did I say it was miserable? Should be ‘above’ tail light, not ‘a one’. Rear valence has ‘problems’, plural. My mom had one of these with the same color and options. It was mint. It was going to be mine when I turned 16, but it was sold because the engine kept over heating. 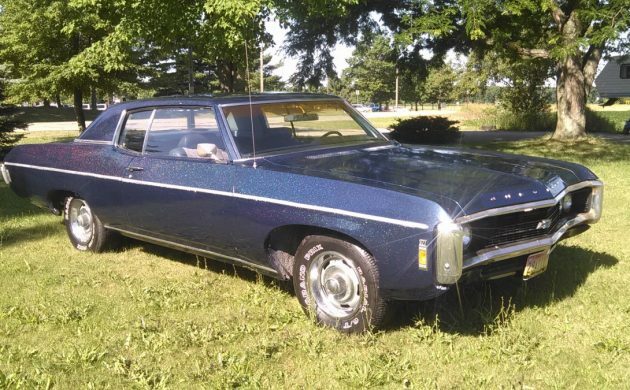 So my 1st car was a 69 Nova. Still not a bad deal for a 16 year old. There appears to be a more interesting flat top parked in the same garage. I saw that also , any ideas as to what it is ? I think it is a ’59 Chevy. Judging by the dirt floor, the underside of this car is going to even scarier than the topside. Would it have been that hard for the seller to drag the car out into the daylight and take some proper pictures? Looks like a parts car to me. My 69 impala custom came with a 327 / 3 speed manual and had manual drum brakes. This almost caught my attention. It is closer than a few others. At least it is on this coast. But, due to a lack of pics and info, plus … It would not be feasible for me to make the trip, check it out and then decide not to buy. Not on my tight budget. It is a little bigger and “gassier” than what I am looking for, but, I could make it work. 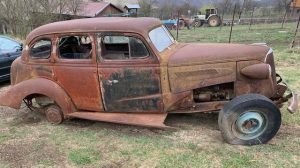 Have you seen what happens to a car parked on a dirt floor? Not pretty! Expect to find major rust. Knew a guy with a ’70 Caprice 350, built it up and got it into the middle 14’s at the strip. I was conceived in the 4 door hardtop version of this car. Same colors, year, model & equipment (from what we can tell). How do I know this? I remember the car very well. I was told about the “conceived” part many years later. My Dad was sort of a pig lol. I always wanted one, anywhere from 1965 to 1970, although 1971-1976 would work too. I would prefer the Caprice with the fold down center armrest or something with a 3 on the tree, just to be different. 1969 is my favorite year though. Love those taillights!